Hello Friends! I hope you are doing well. 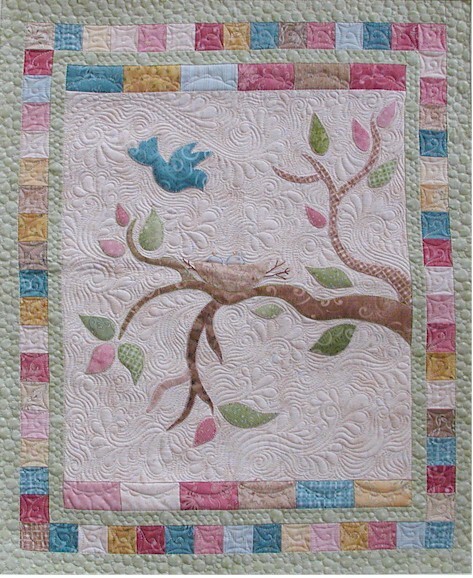 Many of you have seen my Nestlings wall banner that was featured in The Quilter magazine a few years ago. 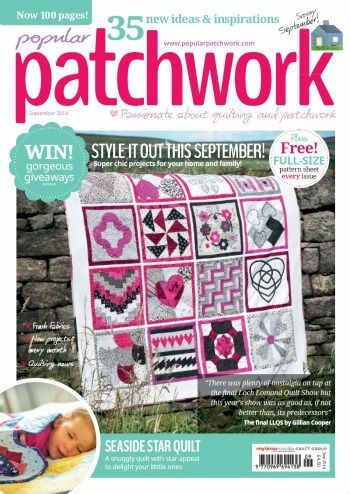 I am SO excited now my friends in the UK will be able to access the pattern in the September 2014 issue of UK’s Popular Patchwork magazine! 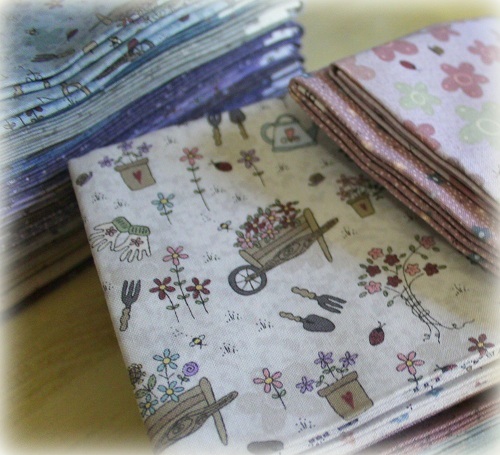 My US friends may find out more on how to subscribe to Popular Patchwork by clicking here. 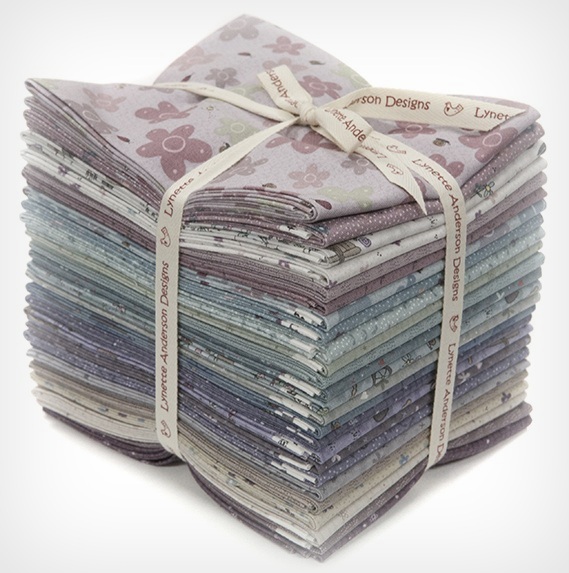 A Mother’s Love is a remake of Nestlings in very soothing colors, using Lynette Anderson’s newly released A Pocketful of Daisies fabrics, released by RJR Fabrics. Here are a couple more shots of A Mother’s Love. I normally don’t remember to take the “before quilting” shot, but I did for A Mother’s Love. 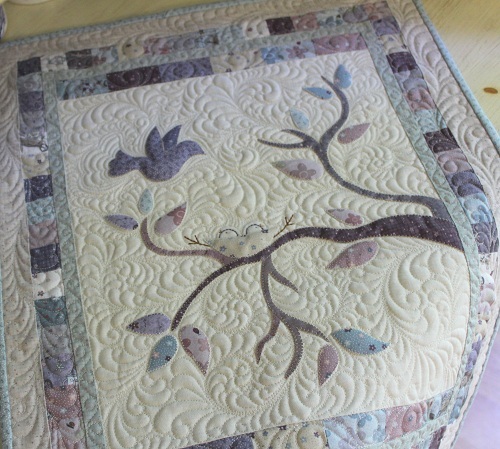 It is my firm belief that quilting adds the third dimension to a two-dimensional unquilted quilt top. The transformation is amazing, isn’t it? 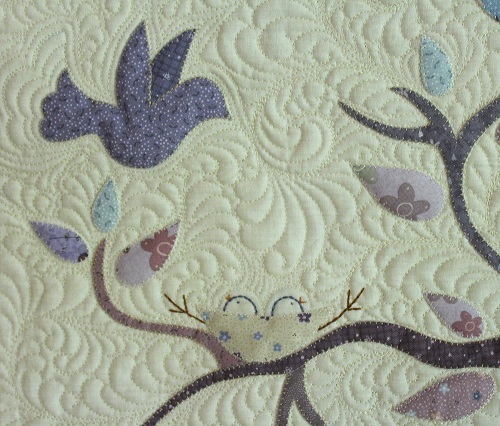 Here are a few quilting close-up pictures to share with you. I used Aurifil Mako 50 threads for the applique, piecing as well as quilting. Batting used is Hobbs Tuscany Wool. Talking about adding dimensional effects, Hobbs wool batting does the job perfectly… and beyond! A Mother’s Love is my little tribute to celebrate motherhood. I know Miss Baby won’t always stay in my little nest, but I do treasure the special moments I have with her — like when she told me when she grows up, she is going to just be a woman and live with me for the rest of her life. And that she and I will make quilts to earn our living. 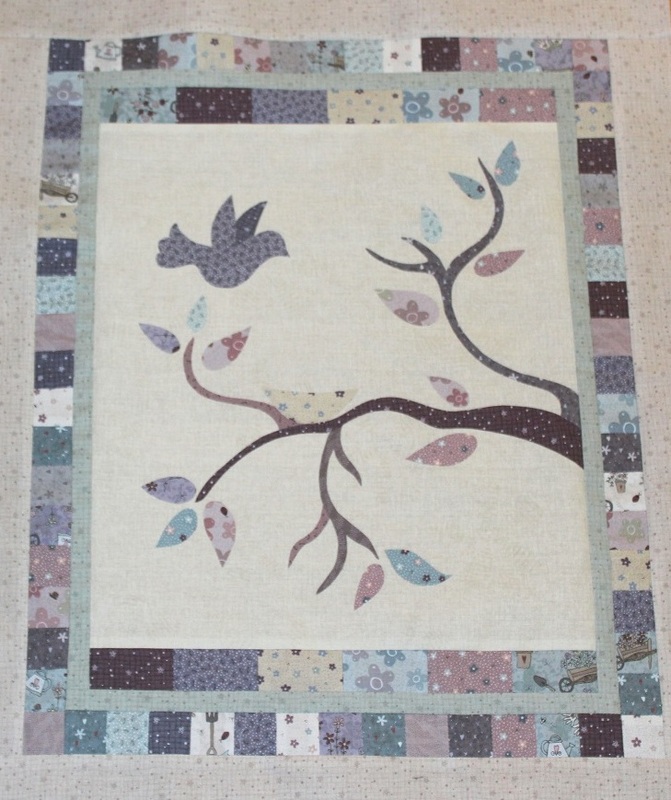 This entry was posted in Quilt Pattern, Quilting, Quilts & Projects: Published, Quilts: Pieced & Applique and tagged A Pocketful of Daisies, Bird Wall Banner, Popular Patchwork UK September 2014, RJR Fabrics, Wendy Sheppard Designs. Bookmark the permalink. That is such a beautiful poem. I need to copy that off. 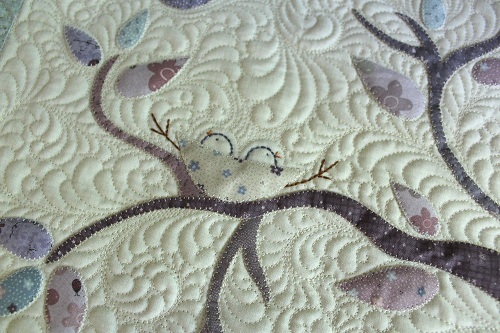 I love your Nestlings in that color scheme and your quilting is as beautiful as ever. It really does make the quilt elegant. 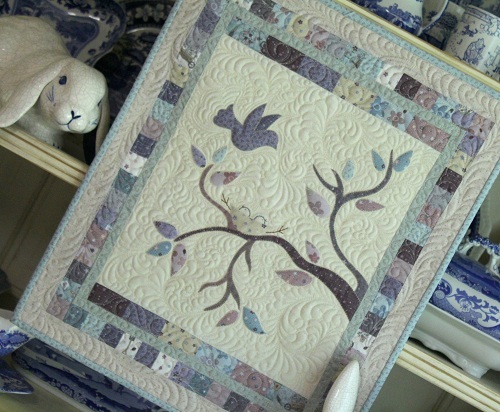 Truly a mother’s love was stitched in this beautiful quilt. 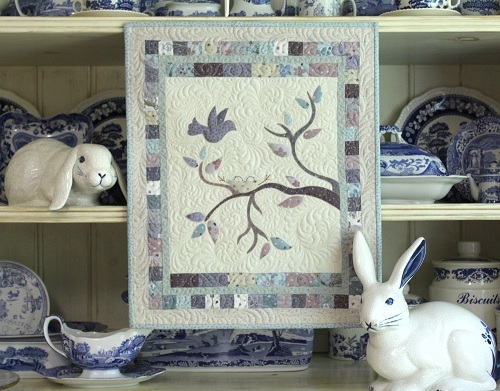 Absolutely gorgeous design, and amazing quilting. Breath taking. I’m in love, totally inspired. Love the fabrics, design, quilting. Love the poem…love the quilt! Quilting does make the quilt! So beautifully said by SewCalGal. 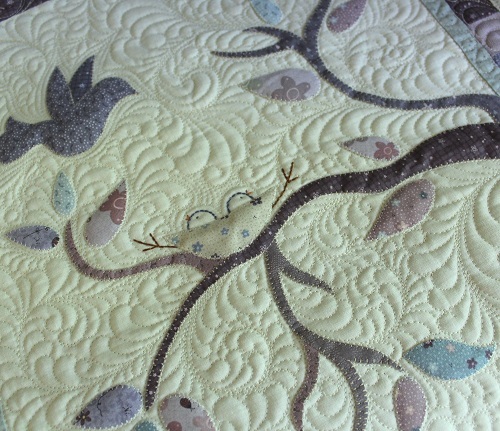 All is exquisite ….quilt remake, quilting, and the poem. Inspiration in all areas…..thanks for sharing, Wendy. This quilt looks so different in this new colorway. I smile when I see it photographed in front of a cupboard filled with dishes because I imagine all the cubbyholes in your house filled with fabric!!!! How sweet that Miss Baby thinks you should “partner” in a quilting business!!! I think it is great you have inspired her!! I think I like the new colourway even more than the first one – although they are both lovely! 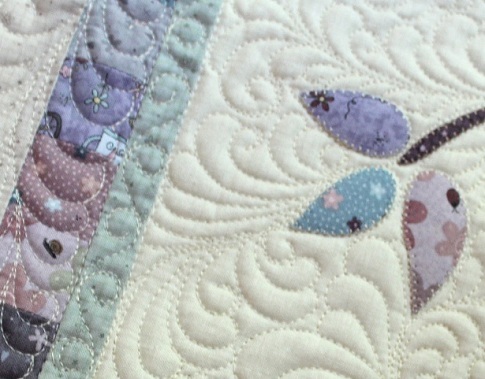 Fabulous quilting as usual! 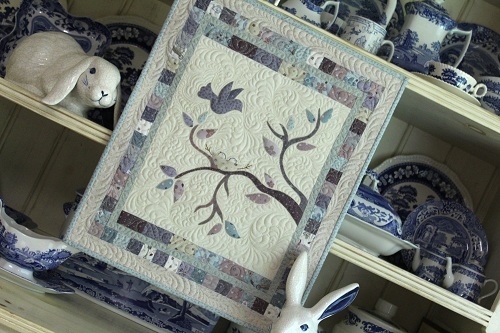 This is one of my favorites of your quilts, and I just love the new colors! And I had never seen that poem before, but I am copying it for my files. I really like the name of that quilt. 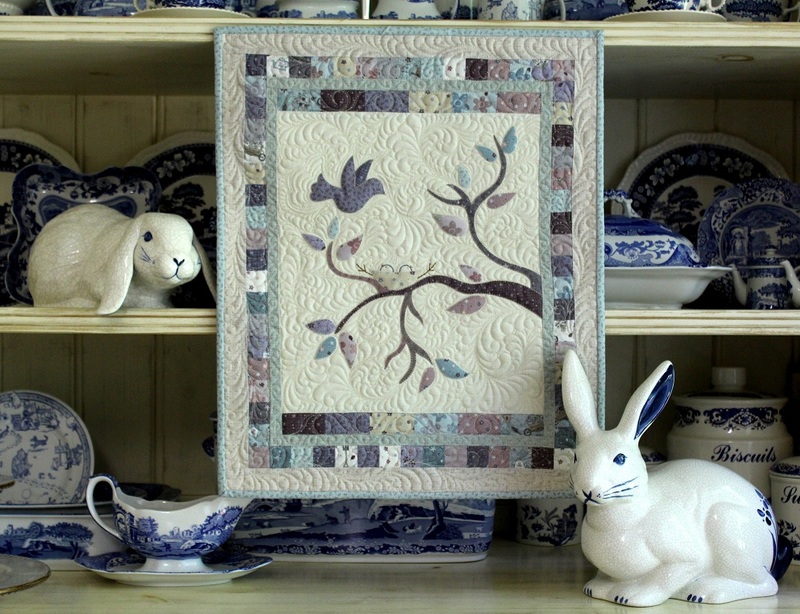 Congrats on the feature in the U.K.
She’ll be a woman and make quilts with you…too sweet! It is so pretty and a perfect way to remember to baby years.